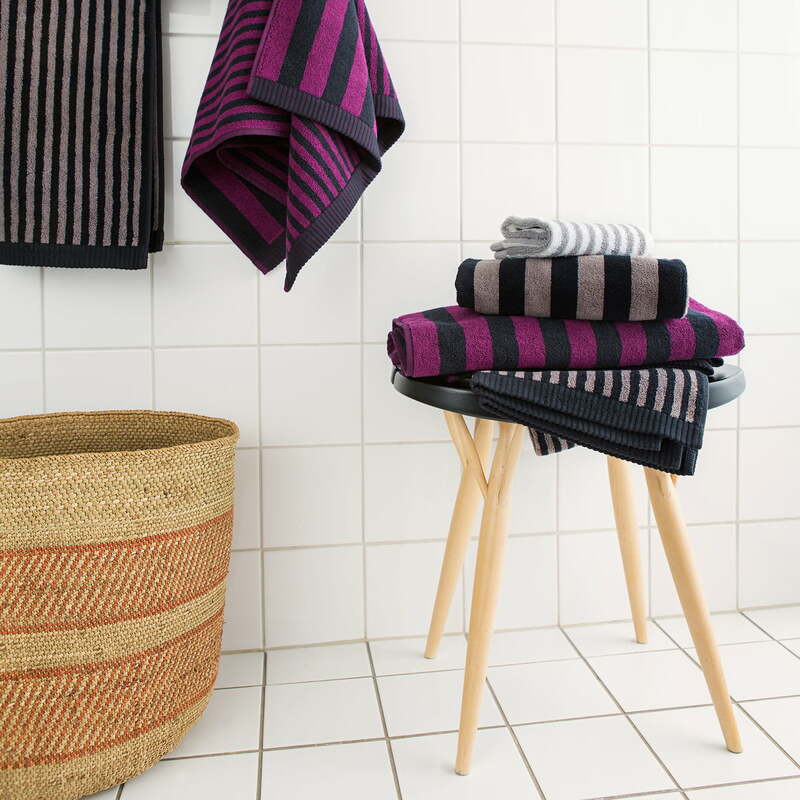 The Kaksi Raitaa towel with magenta and grey stripes brings straight-lined design and order to the bathroom. The colored stripes are arranged in a regular alternation, creating a minimal and at the same time interesting pattern, which can be combined with other bathroom textiles. 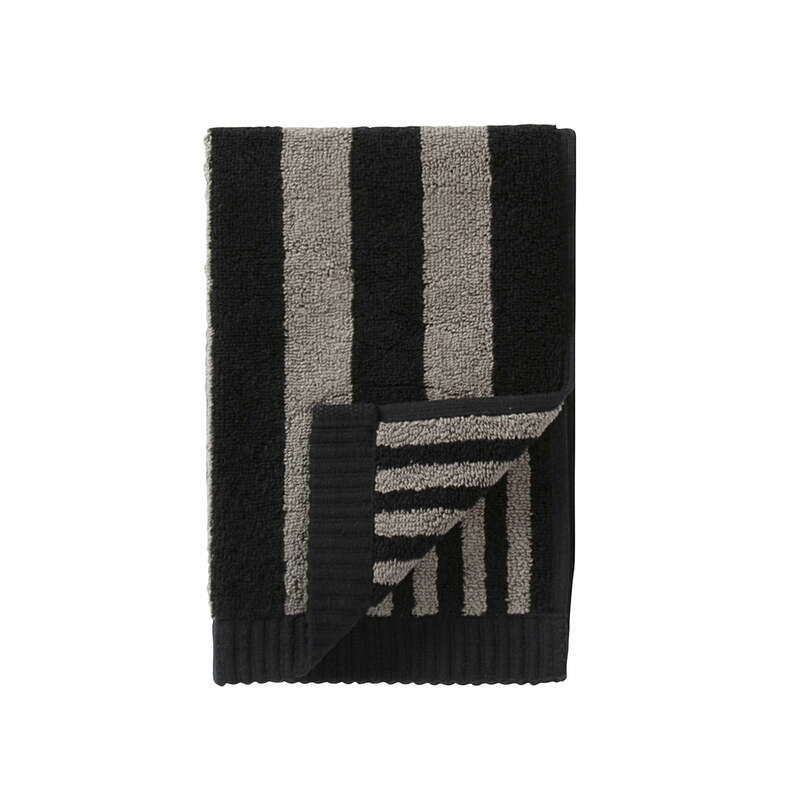 In the usual Marimekko quality, the soft cotton towel caresses the face and body and absorbs moisture quickly. Thanks to its loop, the towel can be hung to dry on a hook, and depending on the way it is hung, the pattern presents itself horizontally or vertically. 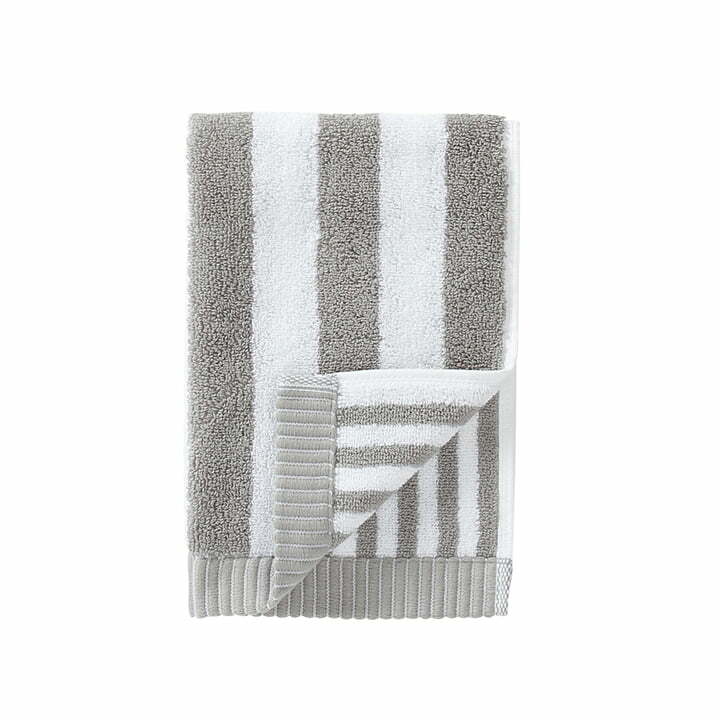 Available in different sizes, the handy bathroom textile with a chic stripe look can serve as a small guest towel or a generous bath towel.